The Ducati Multistrada 1200 S Pikes is powered by the Testastretta 11°, L-Twin cylinder, 4 valve per cylinder, Desmodromic, liquid cooled engine which delivers a maximum power of 150hp - 110.3kW @ 9250 rpm and 87.5lb-ft 118.7Nm @ 7500 rpm. The 2013 Ducati Multistrada 1200 S Pikes’s engine is mated on a six speed gearbox which delivers efficient fuel consumption and smooth shifts. If the 1198 Superbike reaches its top speed in 6th gear, the Multistrada 1200 is able to reach it in 5th gear and maintain it effortlessly in 6th. The 2013 Ducati Multistrada 1200 S Pikes features top notch ergonomics and was carefully designed to maximize the rider’s comfort. The company says that the ‘ergonomics triangle’ of handlebar, seat and footpegs has been designed for both the rider and passenger, optimising comfort while providing a commanding and upright riding position. 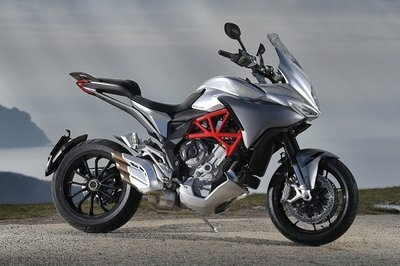 Hit the jump for more information on the 2013 Ducati Multistrada 1200 S Pikes. The Testastretta 11° features vacuum die-cast crankcases, formed using Vacural® technology, a process that achieves a significant weight saving and ensures consistent wall thickness and increased strength. The gearbox and final drive ratios have also been optimised to enable reduced fuel consumption and achieve increased riding comfort by reducing vibration. If the 1198 Superbike reaches its top speed in 6th gear, the Multistrada 1200 is able to reach it in 5th gear and maintain it effortlessly in 6th. 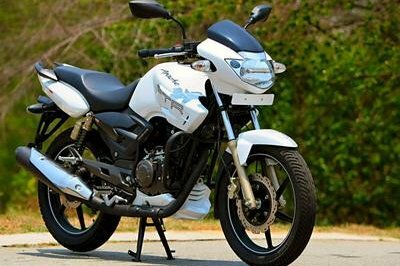 Their innovative design is well integrated with the motorcycle’s overall shape and the positioning of the exhaust system improves overall weight distribution. The tailpipes are short so they do not impinge on the space needed for the side luggage. The internal structure of the silencer is designed to achieve the characteristic Ducati sound without compromising compliance with sound and hydrocarbon emission standards (Euro3). 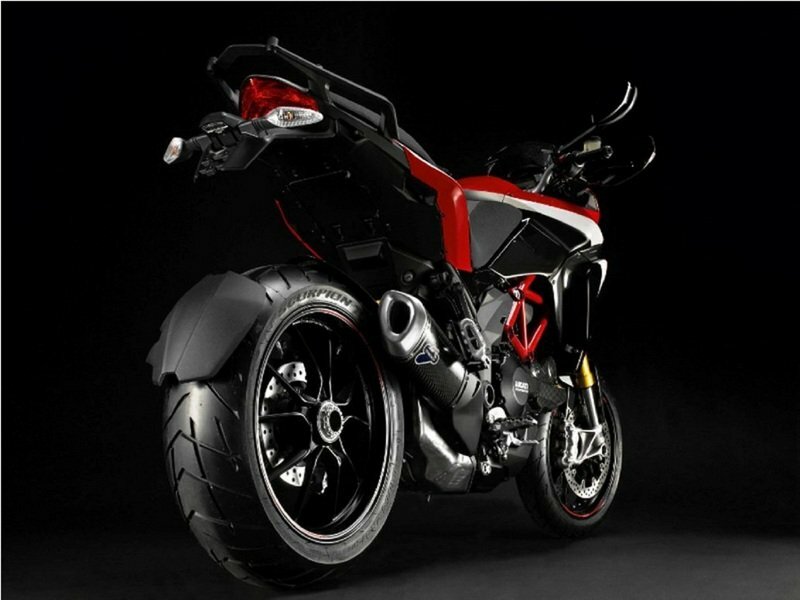 The Pikes Peak Special Edition is also equipped with the Ducati Performance exhaust (type approved for EU countries only), supplied as standard, with a black anodised protective cover that sharpens its aggressive styling and gives enhanced sporting flair. 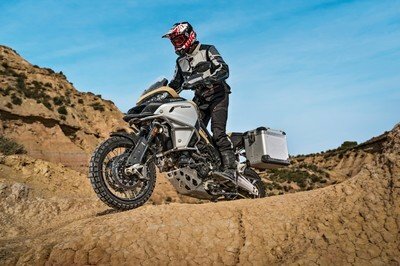 he Multistrada 1200 was subjected to an extensive ergonomic study using both CAD and repeated prototype testing, guaranteeing a high level of comfort with a fully loaded motorcycle for long-range touring. The ‘ergonomics triangle’ of handlebar, seat and footpegs has been designed for both the rider and passenger, optimising comfort while providing a commanding and upright riding position. 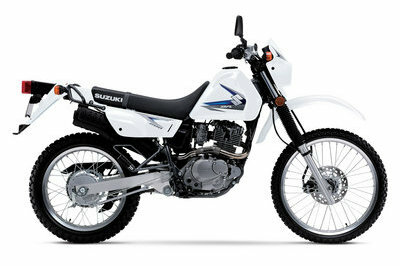 The Pikes Peak Special Edition is the replica of the bike that won the 2010 Pikes Peak International Hill Climb race. 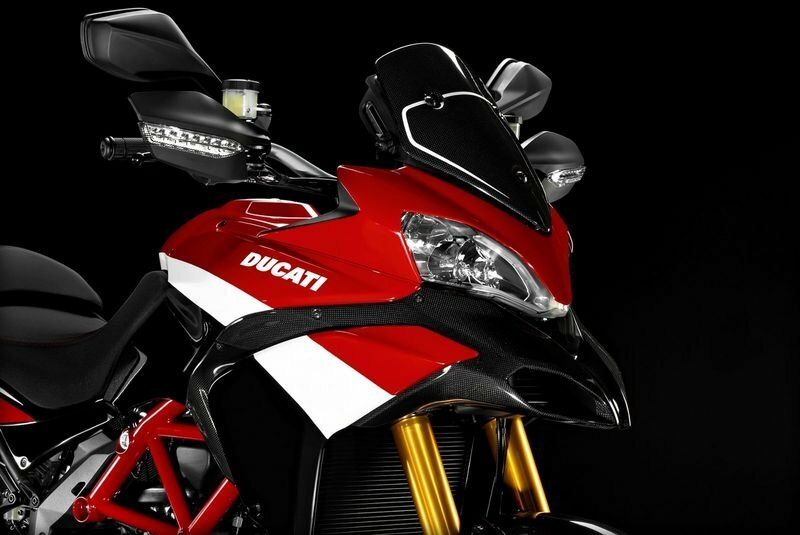 Equipped on the basis of the Sport Edition version, it combines the Ducati Corse racing livery with numerous carbon fibre elements that enhance its style and performance even further: racing screen, Ducati Performance exhaust (type approved for EU countries only) and front mudguard. An extra touch of sporting style is provided by the seat, made of dual material and with a stylish contrast provided by the red stitching. Ultimate Motorcycling----"In addition to the original equipment silencer and windscreen, the Pikes Peak Special Edition comes with a race-derived carbon fiber low windscreen, a Ducati Performance carbon fiber front mudguard and custom made seats with red stitching to complete a fabulous package well worthy of a race-winning replica." 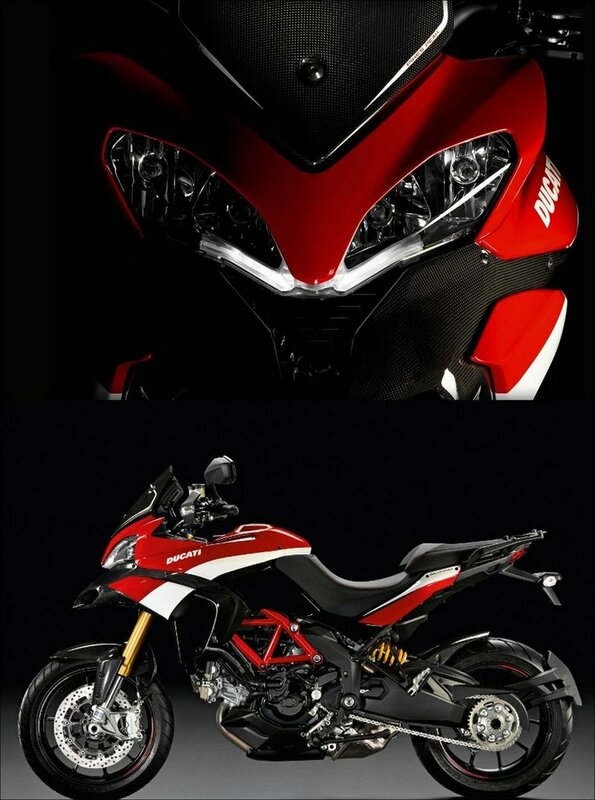 "cycleworld"----"Ducati recently unveiled its 2012 Multistrada 1200 S Pikes Peak Special Edition, commemorating Greg Tracy’s 2010 victory at the Pikes Peak Hill Climb. 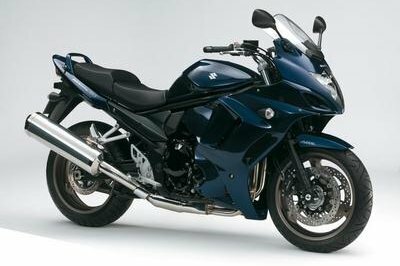 This special edition has several primarily cosmetic features that differentiate it from the “standard” 1200 S that was named Best Open Streetbike Cycle World’s 2010 Ten Best Bikes [hyperlink]. The “Pikes Peak” is dressed up in Ducati Corse graphics and is highlighted by a red trellis frame, red pin-striped wheels and red-contrast seat stitching. 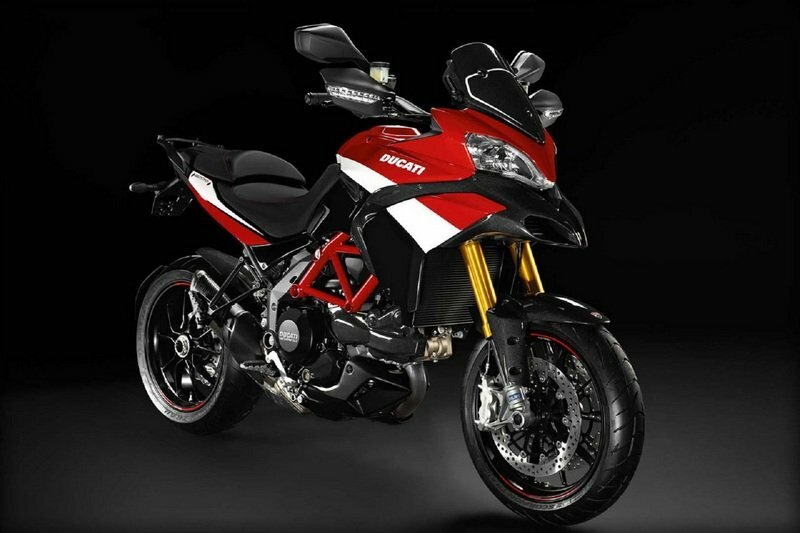 Additional carbon-fiber bits from the Ducati Performance catalog include a shorty wind-deflector windscreen replacement, a front fender and cam-belt covers."